March saw a modest decline in citywide sales activity compared to last year. However, sales have been rising for more affordable product in the detached and attached sectors. 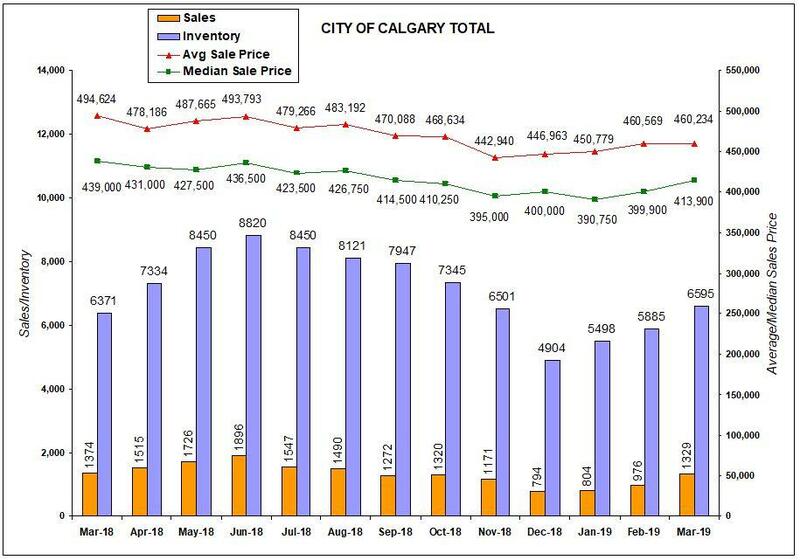 The oversupply in the Calgary market has caused further price declines this month. As of March, the median price eased to $412,500, six per cent below last year’s levels. The median price is where half sell for more and half for less. Attached category includes condominium townhouses and duplexes. The median price is where half sell for more and half for less.